Today, Netwrix Corporation released a new version of Netwrix Auditor, a visibility platform for user behavior analysis and risk mitigation that enables control over changes, configurations and access in hybrid IT environments to protect data regardless of its location. The platform provides security intelligence to identify security holes, detect anomalies in user behavior and investigate threat patterns in time to prevent real damage. Organizations can detect, assess and remediate the security, governance and compliance gaps in their unique IT environments, so they can proactively reduce their attack surface and thereby minimize the ability of intruders and insiders to steal data or cause damage. 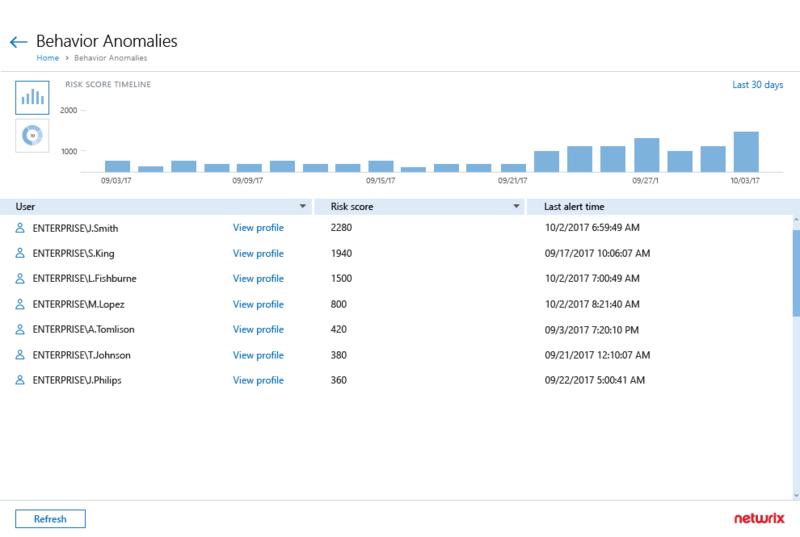 Customers can better detect rogue insiders and accounts compromised by external attackers with a single aggregated view of the anomalous activity by each individual. The associated risk scores enable them to prioritize incidents so they can investigate the most critical ones first and determine the best response. Customers can gain peace of mind and ensure regulatory compliance by enforcing good access hygiene in Active Directory and Windows Server. 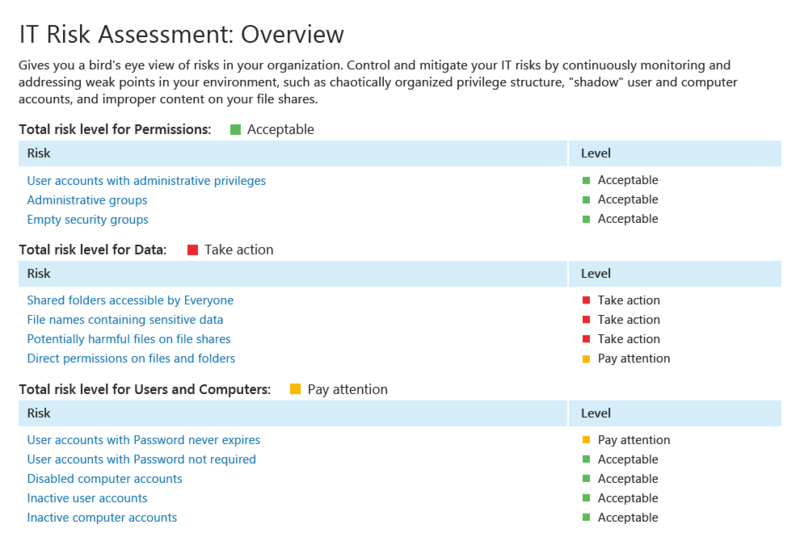 The new security intelligence helps make certain that access rights in these backbone systems are in strict accordance with the least-privilege principle to limit the reach of both human and automated attacks. The Add-on for ServiceNow Incident Management uses information from Netwrix Auditor’s alerts to automatically create detailed tickets in the ServiceNow ITSM and provide initial incident support for faster and more accurate incident investigation. The Add-on for Privileged User Monitoring on Linux and Unix Systems enables better control over privileged activity on Linux and Unix systems. 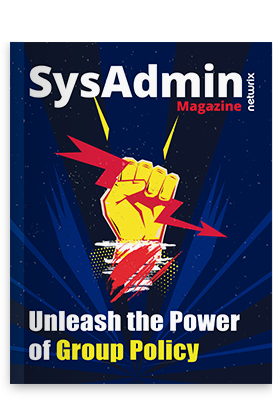 The Add-on for Generic Linux Syslog provides a single-pane view of what’s happening in the Linux environment, enabling customers to spot, investigate and block threats more effectively. Try the upgraded Netwrix Auditor platform right now!